The Frenchman's Arkéa-Samsic squad is one of three Pro Continental teams vying for two wildcard spots. Warren Barguil and his Arkéa-Samsic teammates are getting worried about earning their return ticket to the Tour de France. The French grand tour has already awarded two of its four wildcard slots, giving them to Wanty Groupe-Cobert and Cofidis last month. Expectations are heating up with several teams vying for the two remaining spots to the Tour. Barguil, 27, had a rough ride last season and went winless. Though he finished second in the King of the Mountains competition in last year’s Tour, he was far from the rider who won two stages and the polka-dot jersey in 2017. 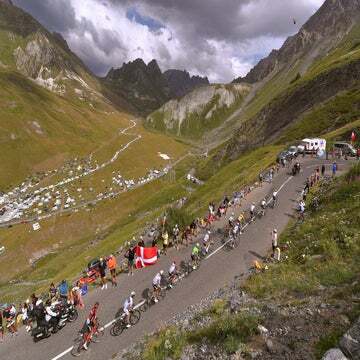 The pressure is mounting as Barguil wants to race the “grande boucle,” but the team must earn some results to impress ASO officials and earn a bid. After debuting at the Mallorca Challenge, Barguil will head to the Tour de Provence this week and Paris-Nice in early March with big ambitions. The pressure will be building for all the French teams remaining on the bubble. Wanty and Cofidis secured their bids in January after finishing atop the 2018 UCI EuropeTour rankings. That approach is similar to the wildcard invitation process the UCI will introduce for 2020, which will grant WorldTour and grand tour starting slots to the top-ranked teams in the second division. With two slots already taken, there are three French Pro Continental teams racing to impress this spring. Arkéa-Samsic, Direct Energie, and Vital Concept-B&B Hotels are competing for the two spots, so one will be left out. Direct Energie, which has signed classics star Niki Terpstra, is hoping for its annual loop around France. Vital Concept was left out last year despite the arrival of Bryan Coquard in 2018. The team also signed Pierre Rolland (EF-Drapac), Arthur Vichot (FDJ), Cyril Gautier (Ag2r-La Mondiale) and Jimmy Turgis (Cofidis) in a bid to bolster its chances for a Tour ticket. 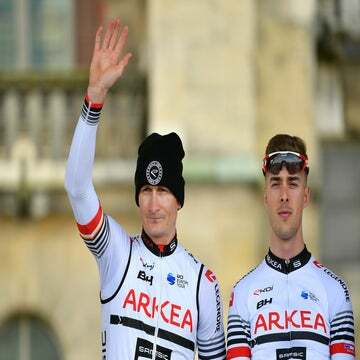 The arrival of André Greipel alongside Barguil should bolster Arkéa-Samsic’s chances. Greipel has won 11 stages at the Tour, but his last came in 2016. Greipel helps take a little pressure off Barguil, who says he hopes he is entering the best years of his career. Barguil is hoping a strong and healthy spring can secure the team’s return to the Tour this summer.